These are lyrics by ABBA that we think are kind of repetitive. 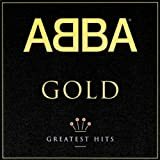 ABBA's, "I Do, I Do, I Do, I Do, I Do"
Okay, you love me. I get the picture. Fpur times would have been plenty.